Lovely variety of coasters, including Carolyn's - pity about the lack of PP . 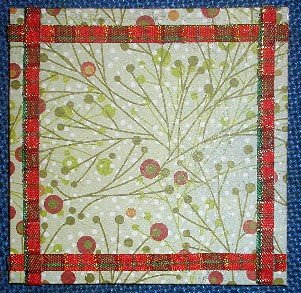 The paper is BG fruitcake (love it - in fact love all the Christmas ones in that range). I layered pieces of card, using my new bookbinding glue that I got at last the other day, covering the top piece with the PP before sticking to the base piece, so that there are no edges showing. Pieces of sticky ribbon complete it. This was a good challenge. I think I might make some more of these to use at Christmas (could also make bigger table mats). Thanks for the challenge, H - I've altered coasters before, using an old one as a base, but I haven't made one from scratch before. craftyhazelnut wrote: Lovely variety of coasters, including Carolyn's - pity about the lack of PP . Just the kind of thing I would do, Carolyn - and it is such a nice idea to use the jigsaw piece - very original. craftyhazelnut wrote: Just the kind of thing I would do, Carolyn - and it is such a nice idea to use the jigsaw piece - very original. ...exactly so I think I should get a point for originality! I see you found a giant jigsaw - looks great and makes brilliant coasters! Did you get it in a charity shop? 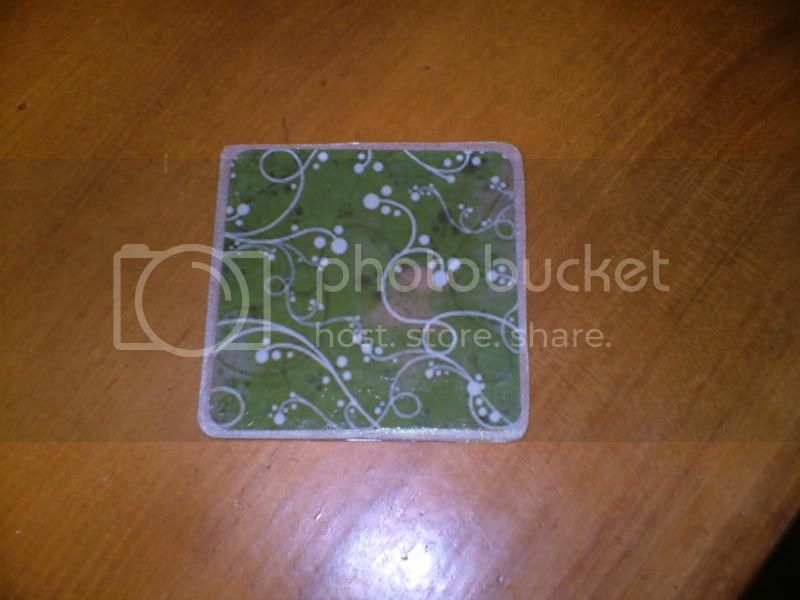 Here is my coaster, made with Quaker oats card and BG Snowstorm.I edged it with silver.